Expect some additional road closures around the National Mall the day after the inauguration for the Women's March on Washington. WASHINGTON — Expect some additional road closures around the National Mall the day after the inauguration for the Women’s March on Washington. D.C. police say an area just west of the U.S. Capitol building will be closed off to traffic from 3 a.m. to 6 p.m. Saturday, Jan. 21. The roads included in this closure are 3rd and 4th Streets NW from Constitution Avenue NW to C Street SW; Independence Avenue SW from First Street SW to 6th Street SW; and Maryland Avenue SW from First Street SW to Independence Avenue SW. 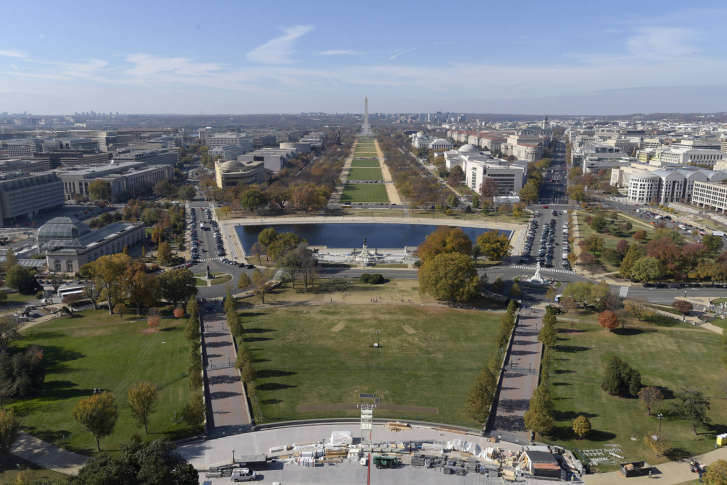 There will be rolling street closures beginning at 1 p.m. Saturday for a march going from the U.S. Capitol building to the area of the Ellipse and the Washington Monument. Roads affected by that closure are Independence Avenue SW from 3rd Street SW to 14th Street SW; 14th Street SW to Constitution Avenue NW; and Constitution Avenue NW to 17th Street NW.